The thing is, people of developed nations have become so focused on diverting waste from landfills, that the very word “landfill” has begun to present something unsanitary and taboo in our minds. 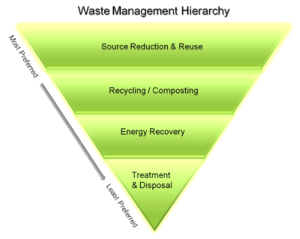 We want to follow the waste hierarchy, keeping the amount of waste that ends up in a landfill as tiny a percentage as possible. However, for developing countries this hierarchy must be turned upside down. The fact is that the first step of landfilling has not even been taken (or at least not taken efficiently) in most areas. Because despite the misconception, landfills are not open dumps. And in order to squelch the environmental and public health hazards that open dumps present for developing nations, landfills must be created first before other treatment technology can be put into place. 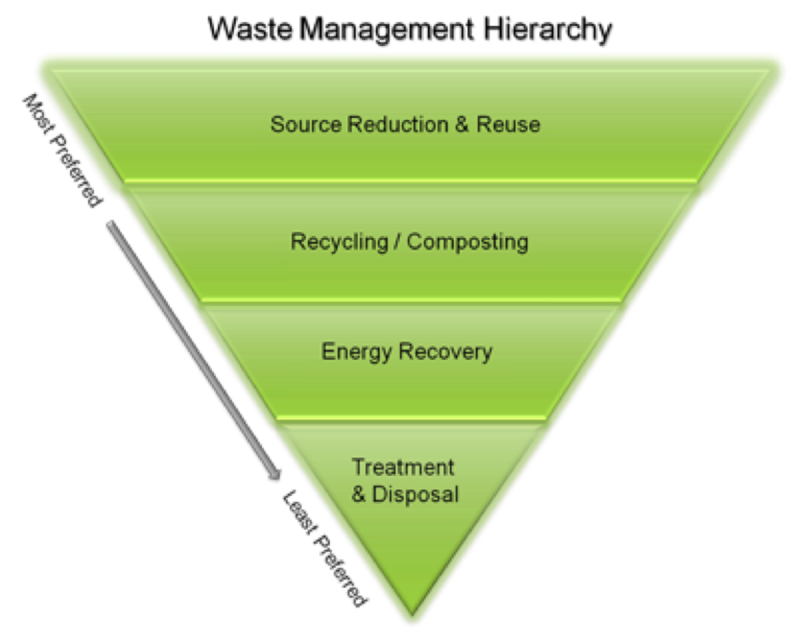 A recycling plant can be set up, or a compost system, but the fact is that the rest of the waste must still go somewhere else. Without proper landfills, waste will be dumped throughout the city, creating even more hazardous problems for the years to come. Landfills—If they’re not dumps, then what are they? 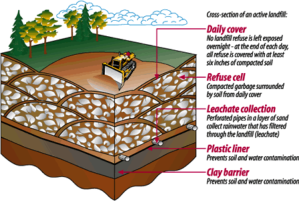 Well, the most basic landfills simply involve the covering of waste with soil. This is necessary in order to reduce the amount of landfill gas (composed mostly of methane and carbon dioxide) emitted into the air, which can be harmful to the atmosphere and surrounding citizens. A larger step would be generating sanitary landfills, which are present in developed nations. 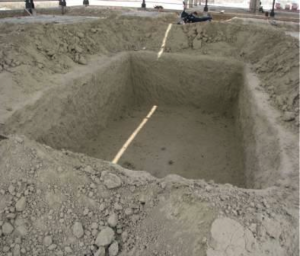 These are set up in cells, trenched into the Earth. 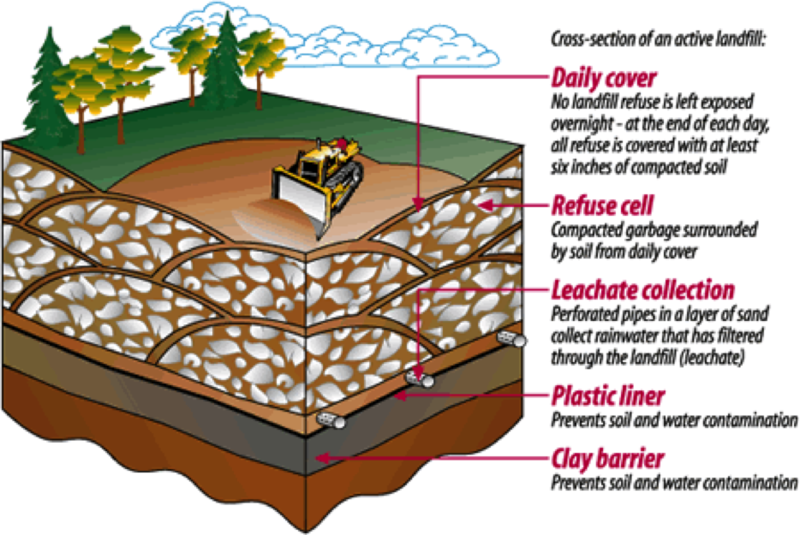 Inside the hole is a liner (usually with several material layers) that prevents leachate from absorbing into the encompassing land and groundwater. Coverage of the waste is properly administered and landfill gas emissions/leachate content are closely monitored with sensors. As you can see, this is clearly not just a dump, and while the word landfill may still seem slightly unholy in your mind, these are increasingly necessary in developing countries to prevent the environmental consequences that accompany open dumping and open burning of waste. Now that we have differentiated between the two, it is obvious that open dumps in developing nations are an increasingly significant problem that must be addressed sooner rather than later. The issues that accompany the use of open dumping stack as high as the pile of trash itself. For one, just throwing garbage in a heap around the city is unpleasant in and of itself. More often than not, there is little separation of the waste and all is thrown into the same pile (hazardous and household waste alike). This can lead to the waste catching on fire or other accidents. In addition, one can visually see the surrounding ecosystem start to degrade, as plants are trampled or wilt away from consuming contaminated nutrients, and the contaminants that seep into the soil (especially from hazardous heavy metals) leave the area restricted from potential after-use. The leachate from the waste can contaminate the groundwater, and often surface water is contaminated directly from waste deposited in there. So if all these problems are generated from open dumping, why is this still happening? 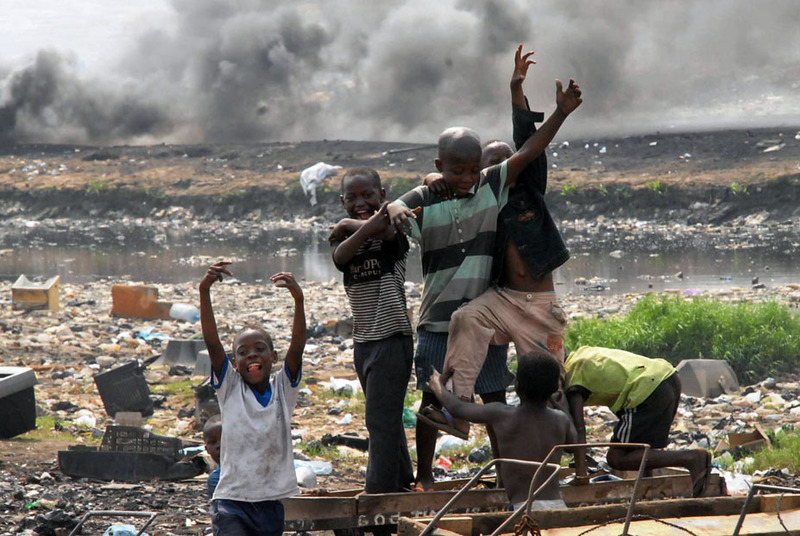 In some developing countries like Sierra Leone, it may simply be a matter of scarce financial resources to back the creation of proper landfills. 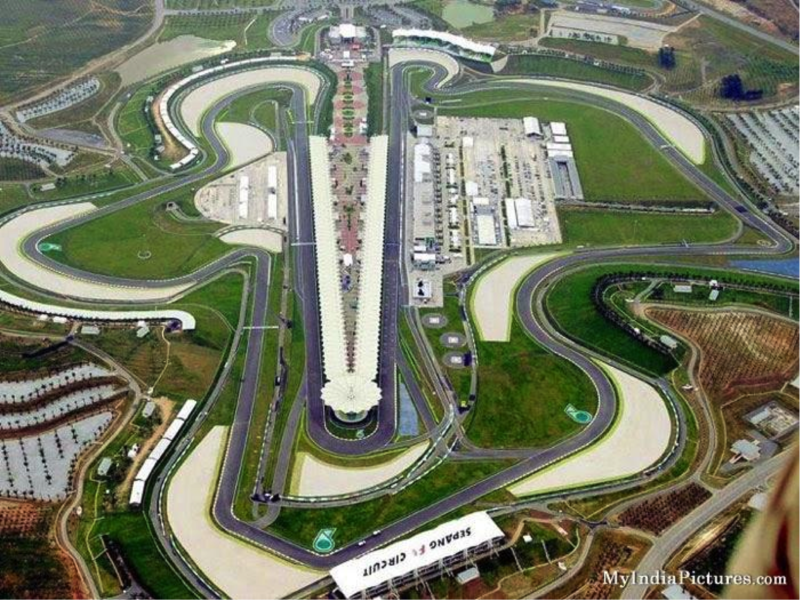 However, other nations like India have set aside funds just for waste management. 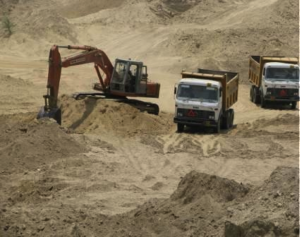 A number of issues often halt the proper construction and management of these landfills, and while most are not technical problems, they are problems all the same. 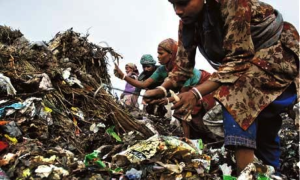 Economic means present a unique challenge for solid waste management in developing countries. The extensive infrastructure needed to correctly regulate the amount of trash produced by a city or town is often beyond the financial capability of a developing region. 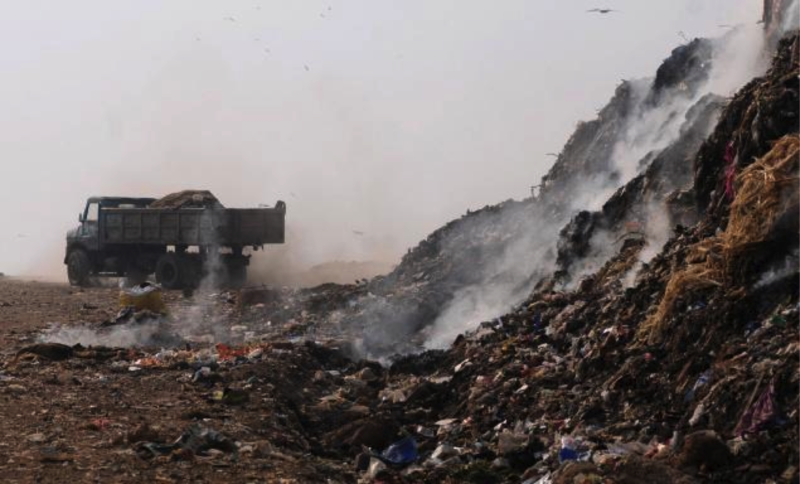 Even more, waste management tends to be lower on the priority list, after public health issues, preventing diseases like malaria, and securing safe water. This kind of economic barrier can be seen in Sierra Leone, among other developing nations. But what about countries that actually have significant funds available for waste management, but continue to operate unfit, ill-used facilities? In countries like India, priorities can be turned around backward, and there is seemingly no excuse for just throwing money away. Here, the central government has little proper policy in place that enforces waste regulation in the states; there are no guidelines for proper siting of landfills, proper maintenance of landfill gas emissions, and hardly any facilities can actually test for toxins from landfills. 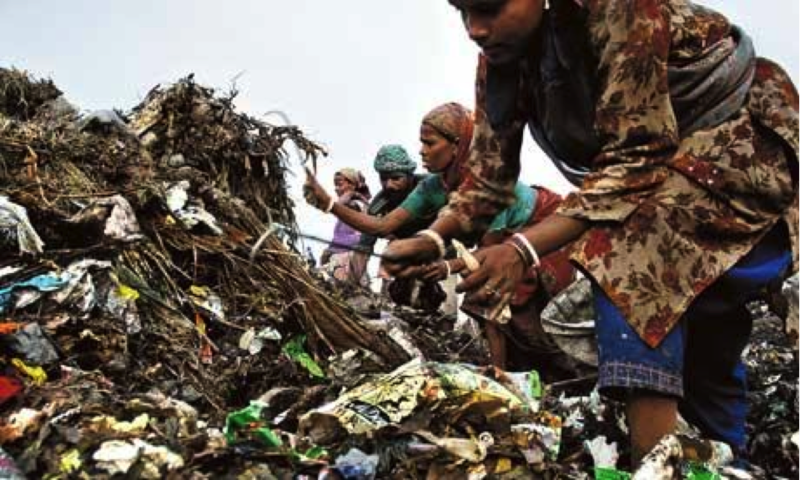 In most cases, the central government may designate some general guidelines for solid waste collection and landfill sites, but most of these rules leave the real work up to the municipalities, which have little true enforcement power. Whether it be poor prioritizing or poor planning, or a combination, the issues of open dumping still remain, and it has become a prominent point that municipal governments must take control over their waste issues in a prompt, effective manner. However, what often tends to be the case with officials in developing nations is that they become starstruck by the possibilities that modern technology can offer. They immediately try to introduce this into their nation without properly planning the most feasible, cost-effective course of action. This is a problem with the developed nations that are collaborating with them as well. There’s this dreamy image of using all the waste strewn across the country as an epic resource, without addressing the most prominent, simple issues first and without actually understanding the waste in the area. This most accurately describes the case in India, as outlined explicitly by Asit Nema. According to his experience, Nema says the problem as goes back to the fact that too much investment has gone into waste treatment (such as biogas or composting), and 95% of these ventures prove to be dysfunctional, leaving no alternative places or landfills for the waste to go. Therefore, it becomes a trend that projects in developing nations are often started with large hopes but poor planning and upkeep leave it doubtful that they will last more than two years. 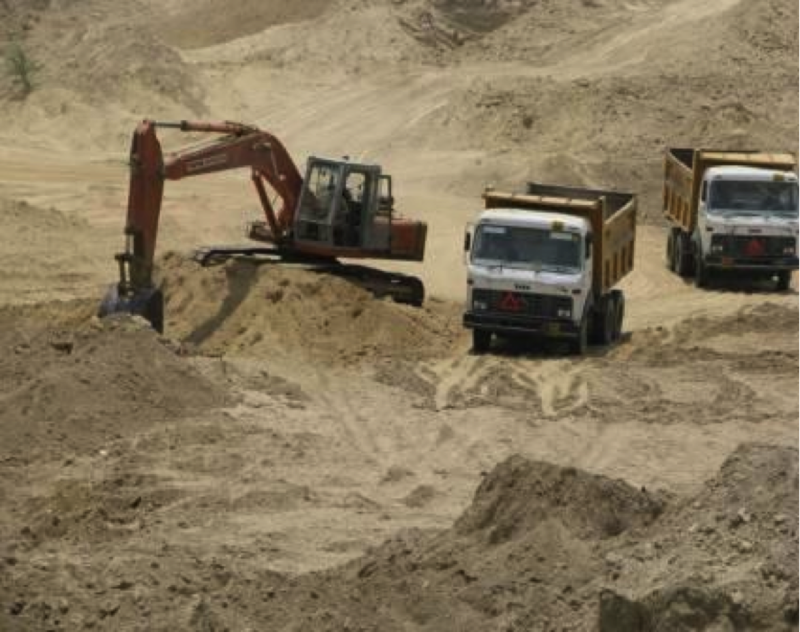 Thus, even the operating landfills are usually not properly maintained, as either the resources or motivation for checking gas emissions or leachate drainage are not emphasized enough. The fact of the matter is that the immediate concerns of open dumping need to be addressed first by at least covering the waste and then by establishing landfills, and this simply will not be able to happen unless government officials work with the private sector to solidify the proper operation and use of landfills before moving onto other processing options. So if the financial barriers can be overcome, and a landfill is indeed constructed in a developing nation, why do they tend to fail oh so quickly? 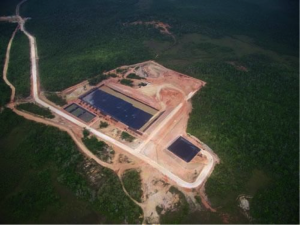 Most of the problems stem from the government relationship with the private sector, the contractors that actually maintain the landfills and processing plants. Nema expounds the problem that persists in India, stating that government officials are so obsessed with being able to use treatment technologies for waste that in most states there are policies in place that levy severe fines for landfilling untreated waste or if more than 20% of the waste in an area is landfilled. Since many processing plants are poorly operated and are not up and running for all 365 days a year, if waste cannot be treated due to this, the waste therefore cannot be landfilled. Thus, contractors who fear the severe punishments of landfilling too much will instead turn down waste from the landfill, leading to piles of garbage surrounding the plant or the creation of unofficial open dumping sites. Even when contractors are given five-year grants, the financial stress the government imposes on the contractors leads them to realize that after those five years, it is very unlikely that the project will be able to be self-sustained economically, leading to the ending of landfilling projects, without expansions, and still with the same problem from before: open dumps. In these cases of economic impediments, Greedy lends his expertise. He is currently working on a project with One World Link in Bo, the second largest city in Sierra Leone with around 200,000 residents. Bo is a city under significant financial struggle, as only 45% of the population even pays taxes. What Greedy proposes in terms of waste management here is taking baby steps to slowly build up the disposal infrastructure in the city, and to provide safer conditions for waste as soon and as easily as possible. This can be done by closing off unofficial dumping sites, designating one official landfill site for the city, and then beginning the coverage of that waste with soil, even if by means of manual labor. In fact, this was the general route taken by Latin America, and now there are successfully operating sanitary landfills throughout those nations, and there are even plans for treatment technologies like gas-to-energy. 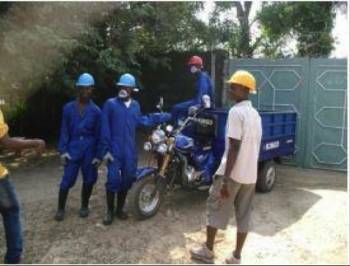 In Bo, waste collection has been assigned to youth groups that are able to charge collection fees, and little by little, Greedy plans for proper landfills and composting of waste, which will help regenerate the agricultural land ravaged by war. For now, even these little steps of collection and coverage of waste can contribute significantly to the atmosphere of the city by getting trash off the streets and by containing the harmful side effects of open dumps. 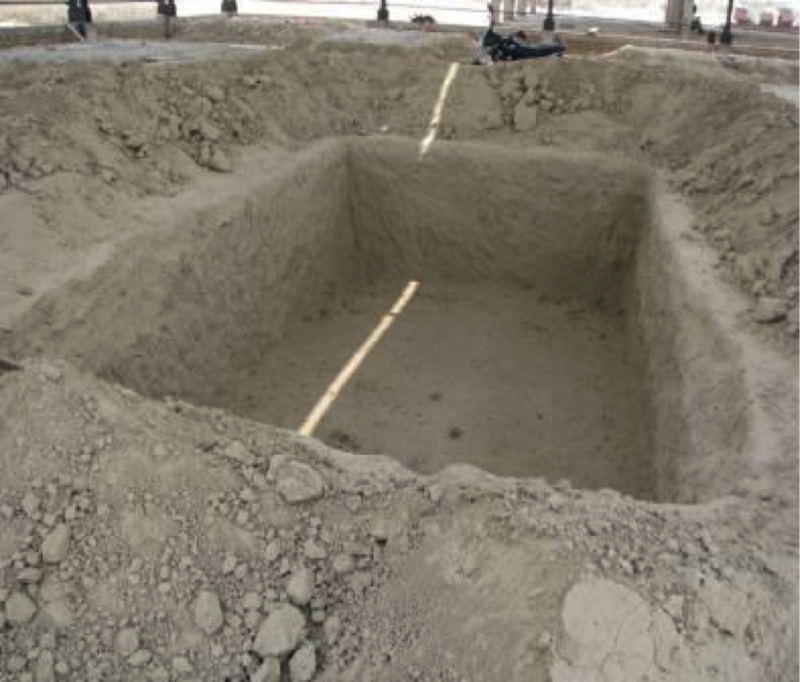 Of course, the route to proper maintenance of waste must be taken according to the place and its waste content. There are not general solutions for everywhere, but small steps need to be taken first in order for waste to be used efficiently as a resource in these countries. 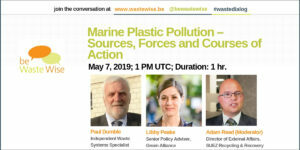 The first issue that must be addressed is the safe disposal of waste to mitigate environmental and public health hazards, and this comes from a process agreed on by all three panelists. As landfilling is the lowest cost, safe waste management alternative (at around $15-$25 per ton), it needs to be put into place first, before other treatment technologies like recycling and composting can come into play. Despite the advances made in waste technologies in developed nations, developing countries cannot simply hurdle over the necessary steps it took for the U.S. or the EU to get to that point. Waste is indeed a resource, but it must first be handled in a safe and precious manner to negate the detrimental effects before reaping the benefits. *Editor’s note: Sandra Cointreau also participated in the video panel but opted not to be cited in this article. Watch the video panel here.